Alexa, along with Amazon Echo, set the precedent for speakers powered by smart assistants. 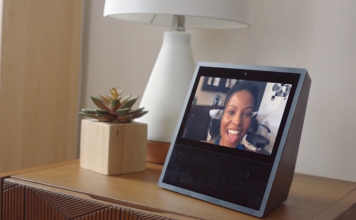 Soon after its launch, Amazon’s biggest competitors in the tech space launched their own smart speakers, but in spite of a neck-to-neck competition with Google Home devices, Amazon’s Alexa came out as the most popular virtual assistant in Q3 of 2018. If you own an Amazon Echo device, or any other smart speaker with Alexa built into it, you might already be aware that it supports a very large and diverse catalog of skills which augment and enhance Alexa’s smart operations. 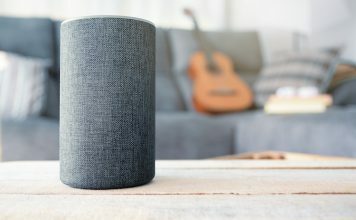 As of December of last year, there were as many as 70,000 Alexa skills in total- mostly by third-party developers – and while it would be taxing to go over them all, we have listed 30 cool Alexa skills which, we hope, will make your smart speaker journey more exciting and interesting. 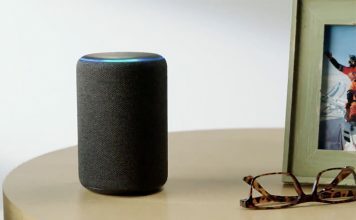 These are, according to us, the top picks for 30 best Amazon Echo skills that you can try out with your Alexa-powered smart device or even with Alexa on your smartphone or laptop in 2019. CryptoCurrency is a skill that can be used to check the current prices of bitcoin. To enable the CryptoCurrency skill, you can go to the Amazon Alexa app, and search for CryptoCurrency in the Skills section. However, you can also simply say “Alexa, enable my crypto“, and your Echo will automatically enable the Skill for you. Using the Skill is easy, and you can use the command “Alexa, ask my crypto what is the price of Bitcoin?“, and Echo will tell you the current price for Bitcoin. Other commands that can be used with this Skill are: “Alexa, ask my crypto for the current price of Bitcoin”, and “Alexa, ask my crypto for the price of Bitcoin”. The Mortgage Calculator Skill does exactly what it sounds like. It calculates the monthly payment based on your principal amount, mortgage time, and interest rate. Enable the Skill by saying “Alexa, enable Mortgage Calculator“, and you can then use the skill by saying “Alexa, start Mortgage Calculator“. Other commands that can be used with this Skill are: “Alexa, open Mortgage Calculator”, and “Alexa, launch Mortgage Calculator”. The Bartender is a Skill that can tell you the recipes for a lot of cocktails, and give you instructions on how to make the cocktail. To enable the skill, you can say “Alexa, enable the bartender“, and you can then use the Skill by saying “Alexa, ask the bartender what’s in a Tom Collins?” You can use the name of the cocktail that you want to find the recipe for. Other commands that work with this Skill are: “Alexa, ask the bartender to surprise me”, “Alexa, ask the bartender for a drink with pineapple juice”. With the WineMate skill enabled, your Amazon Echo can help you figure out the best type of wine for a particular type of food, or even the type of food that would go with the wine that you plan to have. To enable the Skill, simply say “Alexa, enable wine mate“, and then you can use it by saying things like “Alexa, ask wine mate what wine goes with bacon“. 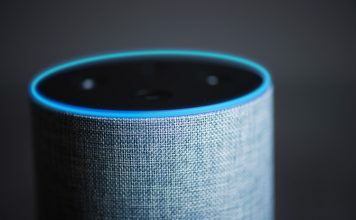 Other commands that work with this Skill are: “Alexa, ask wine mate food for a chardonnay wine”, and “Alexa, ask wine mate what food goes with champagne”. QuickBits is a skill that can make your Echo provide you with recipes that you can make in under 10 minutes. To enable the Skill you can simply say “Alexa, enable quick bits“, and then you can simply use the Skill by saying “Alexa, ask quick bits to tell me the recipe for french toast“. As a gesture to troll its fans, Bethesda, the developers of Skyrim, announced a voice-based version of the game which can be played only with the help of Alexa last year. On your smart device, just say, “Alexa, open Skyrim” and the game will start with Alexa asking you to choose between an ancient standing stone or an isolated shack. At multiple steps, Alexa will ask you where should it take your warrior next and that’s how you play the game with voice commands. It’s all for fun and while it may not really engage Skyrim fanatics, it is a great way of getting entertained. Here’s the official promo featuring comic Keegan Michael Key, showing you how to play Skyrim just by interacting with Alexa. Taking the classic game of Rock, Paper, Scissors a step further – or two, rather – this Alexa skills gives you extra reasons to play. 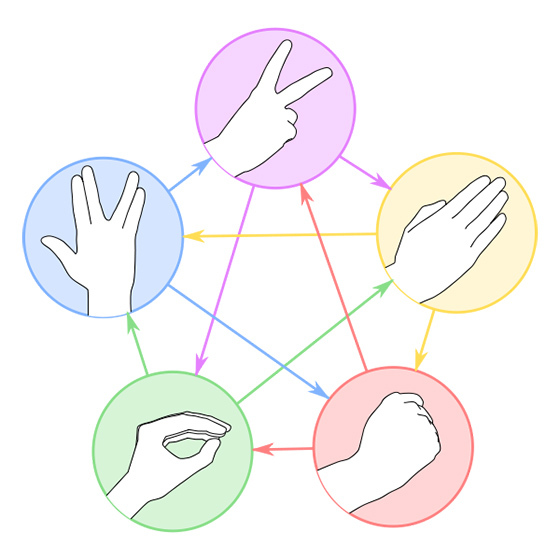 You might remember the episode from The Big Bang Theory but if you don’t, let me tell you that while the rules for rock, paper, and scissors are the same, the Spock (popular hand gesture from Star Trek) beats the rock and the scissors but is beaten by paper and the lizard. The lizard, in turn, is beaten by rock and scissors but can defeat paper as well as the Spock. If you’re still confused, you can use the graphic above, or use Alexa’s help to learn the game. Just start by saying “Alexa, start Lizard Spock“. Besides playing with you, Alexa also keeps a tab of your score. Abra is another fun Skill. You can think of any character, real or fictional, and Echo will ask you questions about them. Based on your answers, Abra will guess the character you are thinking of. To enable the Skill, simply say “Alexa, enable akinator“, and to use the Skill, you can say “Alexa, start akinator“. If you want to play Blackjack with your Amazon Echo, this is the Skill for you. To enable the skill, you can say “Alexa, enable Blackjack Dealer“, and to start playing, you can say “Alexa, open Blackjack Dealer“. Other commands that work in this Skill are: “Hit”, “Stand”, “What’s in my hand”, and “Help”. This Skill aims to help you lead a healthier lifestyle by simple 7 minute workouts that you can do everyday. It features a variety of exercises, like, push-ups, wall sit-ups and more. To enable the Skill, you can say “Alexa, enable seven minute workout“, and to start the skill, say “Alexa, start seven minute workout”. Whether the intention is to just unwind and relax or clear your head, sounds of nature can have a brilliant healing effect. Or, if you feel too absorbed and depleted by the noisy aspects of the city life, nature sounds can help you during the respite. Another great benefit is that these sounds can help you sleep better and there is an Alexa skill which does exactly that for you. You can hail it by saying, “Alexa, open Sleep Sounds” and the assistant will ask you if you want a specific type of sound. This skill supports a host of scenarios including rain, ocean, fire, birds, wind, thunderstorm, as well as a range of white noise sources such as the fan, shower, washing machine, vacuum cleaner etc. For the complete list of sounds, you can say, “Alexa, ask Sleep Sounds for a list“. You can control your Nest Learning Thermostat from your Amazon Echo by enabling this Skill. To enable it, just say “Alexa, enable thermostat“, and then you can adjust your thermostat by saying “Alexa, ask thermostat to set the temperature to seventy one degrees“. Philips has grabbed a major market share when it comes to smart lighting solutions. If you’re among the customers that use a smart light or bulb from Philips, you can control it in many different ways with Alexa’s help. To start, you can say “Alexa, enable Philips Hue” followed by “Alexa, show devices“. You can assign names to lights in different rooms with the companion app from Philips and then control lighting features including on & off state, brightness, and color using commands like “Alexa, turn on Bedroom” or “Alexa, set the bedroom light to orange“. This Skill makes your Echo keep track of when you last fed your dog, and if it has been more than 6 hours since you last fed her/him, it will remind you to feed your dog. To enable it, say “Alexa, enable the dog“, and to use it, say “Alexa, ask the dog if we fed him/her“. Other commands that work with this Skill are: “Alexa, ask the dog about dinner”, and “Alexa, ask the dog if he is hungry”. You can have your Echo read out verses and chapters from the Bible version of your choice by enabling this Skill. You can enable the skill by saying “Alexa, enable the Bible app“, and then, you can say “Alexa, ask the Bible app to read John 3 verse 16“. Other commands that work with this Skill are: “Alexa, open the Bible app”, and “Alexa, ask the Bible for verse of the day”. Alexa can also fetch you virtually any podcast which you can subscribe via Apple Podcasts, Google Podcasts, iHeartRadio, or any other similar service using a skill called AnyPod. Just ask Alexa to open AnyPod by saying, “Alexa, open AnyPod” and search a specific podcast, or ask Alexa to help you with one. While listening to a podcast, you can use commands such as “Alexa, Next“, “Alexa, Previous“, or something like “Alexa, ask AnyPod to fast forward 2 minutes” to control the playback and discover thousands of other podcasts. If your favorite podcast is not available on the platform, you can also add the RSS link within the skill settings in the Alexa app to continue listening to it on your Amazon Echo speaker. If you want to enjoy Sir Arthur Conan Doyle’s classic piece of literature in the old school way, you can ask Alexa to subscribe to this committed and really cool Alexa skill by saying “Alexa, Open Radio Sherlock Holmes“. The skill actually uses recordings of the novel being recited on the radio – courtesy Old Time Radio (OTR) – in a way that’s bound to teleport you back to days of yore. There’s no middle ground in the Game of Thrones and those who cannot win it are bound to die. George RR Martin, the creator of Game of Thrones, is passionate about killing vital characters (Valar morghulis!) and if it seems hard for you to keep a track of all the dead characters, you can seek Alexa’s help. Just say “Alexa, ask Westeros if <character name> is dead” and it will give you a substantial – yet sometimes shocking response. We wouldn’t spoil it for you and you can give the Alexa skill a try if you want to recall if any specific individual has died yet. To clarify, these are based on the series of Game of Thrones books and not on the HBO series so you might find a mismatch if you’re expecting a response based on the celebrated TV show. If you’re just interested in knowing the special events that took place on a specific date, This Day In History by the History Channel can be interesting to you. Just say, “Alexa, start This Day In History” and the skill will offer you wholesome information about the key events of that date. To learn about events on any other date, you can, for instance, say “Tell me about another event from February 28” and to know more about a specific event that has invoked your curiosity, say “Hear more about this event“. If you want to, you can enable the Uber skill by saying “Alexa, enable Uber“, and you can then use your Echo to request an Uber directly. To do this, just say “Alexa, ask Uber to request a ride“. Other commands that work with this Skill are: “Alexa, ask Uber to request an UberX”, and “Alexa, ask Uber for a ride”. If you want to find great places to go out for a meal, you can use this Skill. Enable it by saying “Alexa, enable Food Finder“, and then you can start it by saying “Alexa, open Food Finder”. Other commands that work with this Skill are: “I want some Mexican food in 98004“, and “find me Thai food in 98004”. Get to know about the tracks topping the billboards and rocking the audience using the Alexa skill which lets you search for the top music in the US. Start by saying “Alexa, open Top Music Charts” and the assistant will tell you about the most popular music on a daily, weekly, or monthly basis. Alexa will also give you an option based on the genre of the music and will also allow you to choose between the list of top albums or top tracks. Additionally, if you have an Amazon Music subscription, you can play the music on top of the charts without shutting the skill. If you want to practice playing a song, but you keep losing the beat, you can try this Skill. It plays a drum beat at the tempo that you pick out (from 40 – 199 bpm). To enable the Skill, just say “Alexa, enable metronome“, and then, you can use it by saying “Alexa, ask metronome to play 50“. You can choose any value between 40 to 199 beats per minute. Now it doesn’t matter if you don’t have the same story-telling skills as your grandma; your kids won’t go to bed in a somber mood. Use Alexa’s help for stories which will be cherished by your younglings at any time of the day. Just initiate the story-telling skill by saying, “Alexa, open Amazon Storytime” or “Alexa, ask Amazon Storytime to tell me a bedtime story“. You or your kids will be able to enjoy a variety of stories including a truly interactive version of Ripley’s Believe It Or Not. Whether it is for the kid in the house or the one in your heart, discovering how specific animals sound can be thrilling and really exciting. So if you’re curious if a hyena really laughs all the time or clueless about what does the fox actually say, you can use the Alexa skill to learn about the sounds animals from around the world make. You can start the skill by saying, “Alexa, open Animal Sounds” or “Alexa, ask Animal Sounds for a kookaburra sound” and allow your brain to be transfixed by the sounds which these and a score of other animals make. The list is really long and you’ll be surprised to know all of them. This Skill helps you take a break from the world around you and enter a one minute sound meditation. To enable this Skill, simply say “Alexa, enable mindfullness“, and then you can say “Alexa, ask mindfullness for a minute meditation“. Other commands that work with this Skill are: “Alexa, ask mindfullness for a forest meditation”, and “Alexa, ask mindfullness for meditation”. This Skill is extremely useful, especially for people with disabilities. To enable the skill in Amazon Echo, say “Alexa, enable ask my buddy“, and then you can send distress messages to your friends and family. You can use the Skill by saying “Alexa, ask my buddy to alert all my contacts“. The Pickup Lines Skill can give you a plethora of pickup lines. To enable this Skill, just say “Alexa, enable Pickup Lines“, and then, you can say “Alexa, open Pickup Lines“. Other commands that work with this Skill are : “Tell me a line”, “Tell me another one”. If you want to calculate the amount you should tip, simply ask your Echo. First, enable the skill by saying “Alexa, enable tips calculator“, and then, you can say “Alexa, launch tips calculator“. If you have the RGB, Hex, or LSM value for a color, you can use Color Convert to convert it. To enable this Skill, simply say “Alexa, enable color convert“, and then you can say something like “Alexa, ask color convert hex FF00FF to RGB“. The Skill can convert colors between the Hex, RGB and HSL formats. Amazon Echo as well as the onboard assistant, Alexa, are really capable but their potential can be seen in true colors with these amazing and cool third-party Alexa skills we’ve listed above. The applications for this device are countless; and with multiple form factors to choose from, the Amazon Echo family of smart devices is definitely great to invest in. This includes the Amazon Echo Show which adds the goodness of a display and the ease of a touch interface to Alexa. We would like to know your experience with the Amazon Echo devices. Also, if you think we missed out on some great Echo Skills that deserve to be on this list, feel free to leave us a line in the comments section below.